I recently got a new bed and have been wanting to get new side tables (night stands, whatever you like to call them) and a console for under the window. 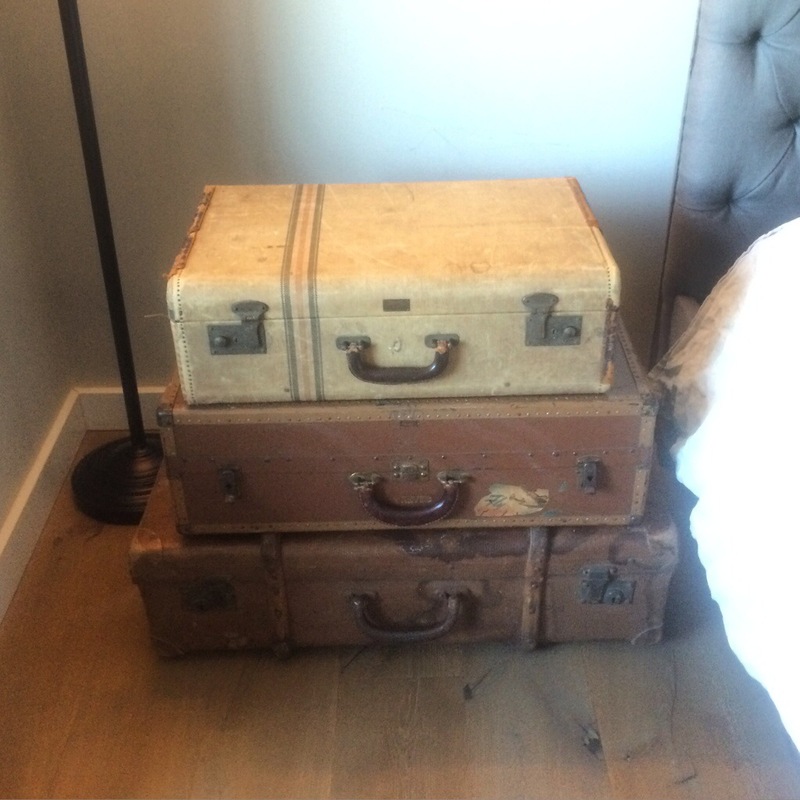 Looking online, I just wasn’t finding a side tables I liked and decided to create my own out of old suitcases. They make the perfect side table, really. They’re sturdy, have stood up to the test of time, and provide storage. It isn’t quite right, though. I think it looks cheap for the price. It is too uniform, I don’t like the edges, and I wanted something more authentic looking. 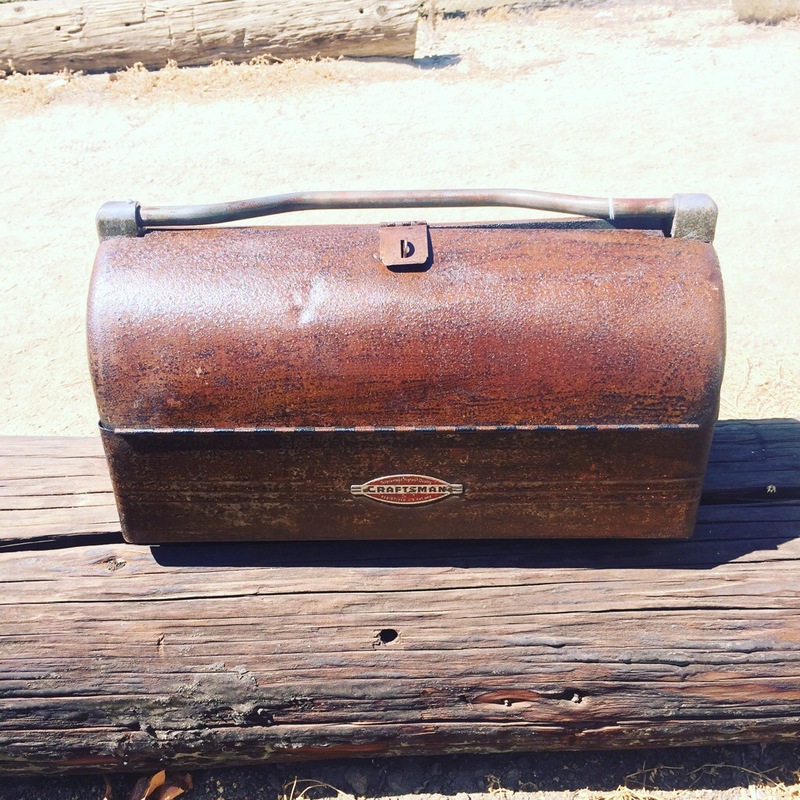 I started looking at vintage stores around town for suitcases to stack and use as a table. The cheapest one I found in a store was $80, talked down from $100. 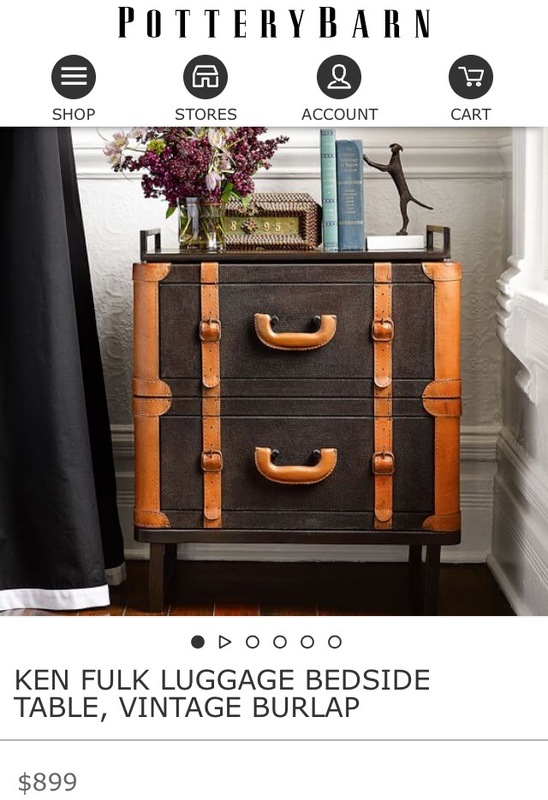 Some suitcases even went up to $250 each. Well, if you know me, you know that won’t do. 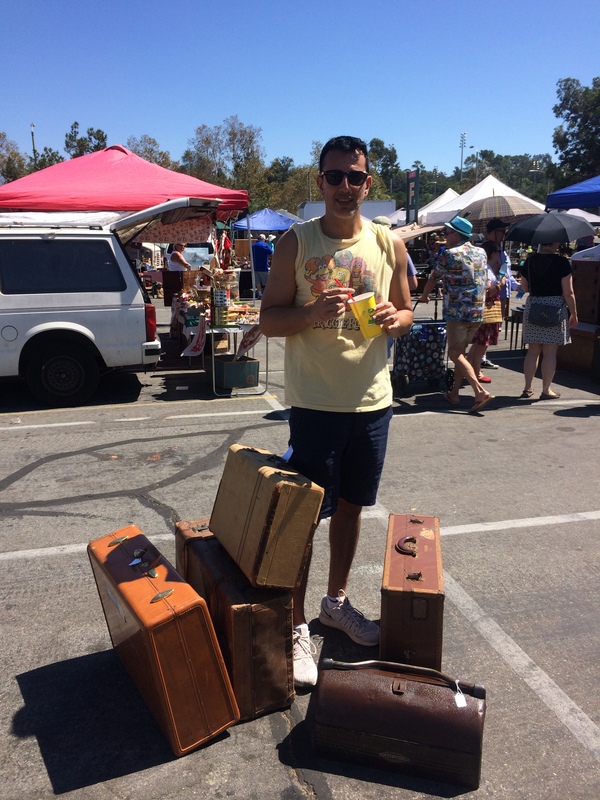 I decided to brave the heat and check out the famous Rose Bowl Flea Market. Armed with a hat, an umbrella and TONS of water, I set out early, fearing the heat wave we’ve been experiencing in LA. It was SO worth it! There was so much good stuff this month. I got way more than enough for my side table and even walked away with a new toolbox for my Craftsman collection! The newest addition to my Craftsman collection. It even has the tray inside! I’m in love. The toolbox was a last minute purchase. We were carrying the suitcases out and stopped at a favorite stand that usually has awesome cameras, typewriters and adding machines. My boyfriend spotted it first, kind of hiding in the corner. I was standing at the edge guarding my suitcases. 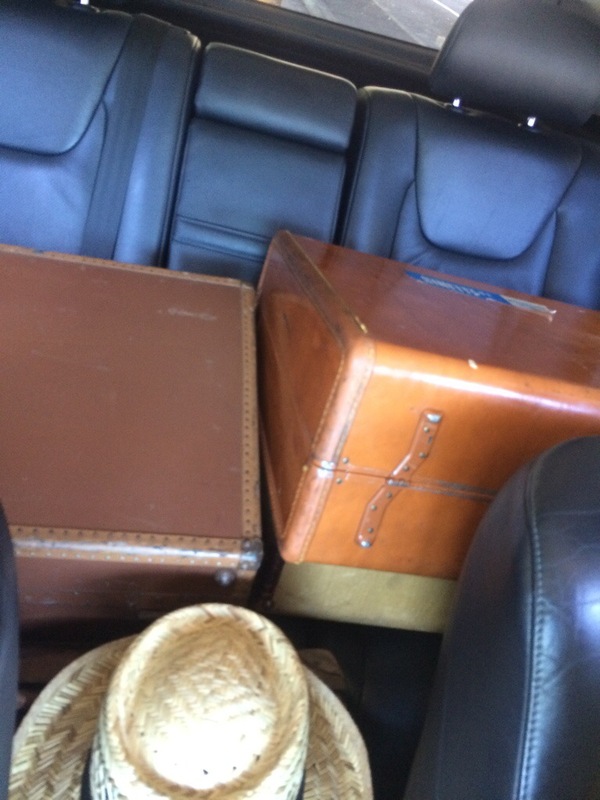 He kept calling for me to come over to see the toolbox, and the second I would start walking away, people would pick up the suitcases and begin enquiring about them. It was actually quite funny. Beating the heat and taking a break from carrying our finds with a frozen lemonade. Don’t worry, I helped carry them! Sneak peak into my backseat on the way home! The final result! I got the bottom two suitcases as a package deal for $60. The top suitcase was $25. I ended up not using one of my finds ($20) but I’m sure I will use it for something else around the house. I am obsessed! A unique, customized side table for only $85. That’s a steal compared to the boring table going for $899 at Pottery Barn.